hypocalcemic activity of calcitonin: is accounted for primarily by inhibition of osteoclast-mediated bone resorption and secondarily by stimulation of renal calcium clearance. These effects are mediated by receptors on osteoclasts and renal tubular cells. ATRA inhibits cell growth by down regulation of IL-6 R. Subsequent increase in IL 6 activates osteoclasts. See Harrison's for how osteoclasts are activated. 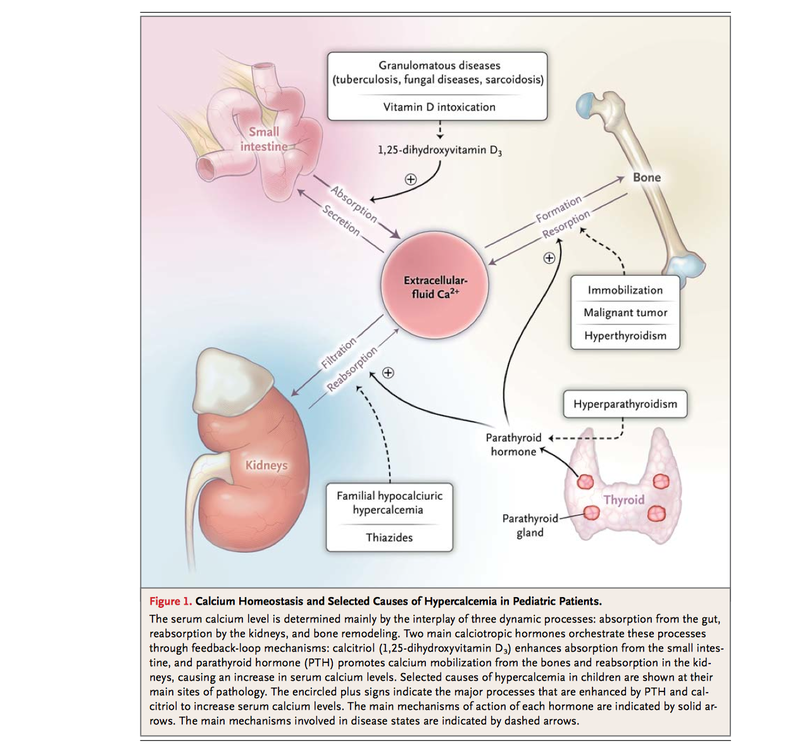 Rhabdomyolysis and Acute Renal Failure: Due to mobilization of Ca++ present in the muscles; Increased PO43- leads to increased PTH - leads to increased Ca2+; Unexplained mechanism leads to increased Vit D which in turn leads to increased Ca absorption. 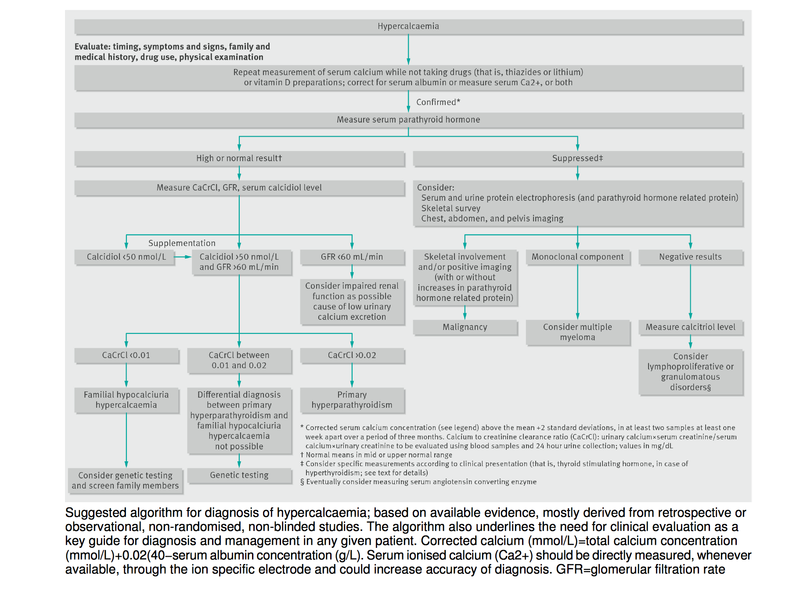 PTH mediated Hypercalcemia: Will have low Phosphorous, and high Cl, with ratio > 33.